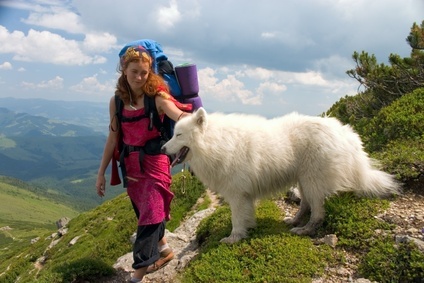 Great ideas for self-catering breaks with dogs. Published on August 6, 2013 in cottage holidays UK, Cottages in national parks, country breaks and hill walking, Holiday homes near National Parks, Pet-friendly cottages, rambling in the country and rural escapes. Closed Tags: beach holidays, big family cottages, Dog-friendly, pet-friendly, pet-friendly self-catering., self-catering breaks. Getting away for well-deserved break can often be quite tricky if you have animals in your family, but with the recent hot spells throughout the UK there’s no better time to embark on a dog-friendly excursion a little closer to home. Leaving the dogs with family members or in a kennel can be costly and also upsetting – for both the human and the not-so-human family members. A large number of self-catering cottages now accept dogs, however it can be tricky to find options which welcome more than one canine friend – if you’re truly wild about your dogs, check our selection of pet-friendly holiday homes, where you can view cottages which welcome up to 5 or 6 dogs at a time. We’ve come up with a selection of what we think are some of the UK’s best dog-friendly destinations. Does your dog like wild, open spaces where he can run free? The Scottish highlands and islands may be a good choice for you. Experience pure escapism at Glenuaig Lodge near Loch Monar offers unbelievable views in one of the UK’s most remote regions, with excellent outdoors activities on the estate such as trout fishing and deer stalking. Dogs can be excellent companions for your walking holidays; just be sure to take enough water and a bowl with you – and of course doggy poo bags! Take a look at our dog-friendly holidays in Scotland. Another great option for your pet-friendly getaway is a beach holiday. Many beaches accept dogs in the UK, but be sure to check that it’s not time-restrictive through the summer months. If your dog loves a wade in the sea and a run along the sands, why not think about a holiday near Durdle Door in Dorset? 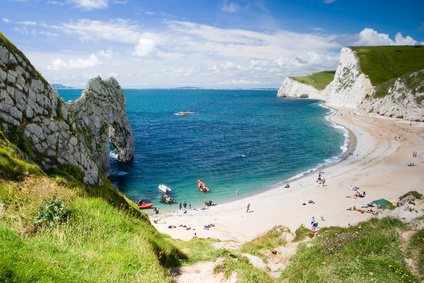 Lulworth Beach is one of Dorset’s most beautiful beaches, and is dog-friendly all year round – although dogs must be kept on leads during busy periods (to prevent them licking other sun-worshippers’ icecreams, presumably). If this tickles your fancy why not take a look at our Dorset dog-friendly cottages? If you and your family want something a little bit different for your doggy self-catering break, why not have a look at cottages near or within the grounds of national parks? The Snowdonia National Park offers a wide array of walks, from leisurely summertime strolls through beautiful countryside to conquering some of the UK’s toughest peaks. 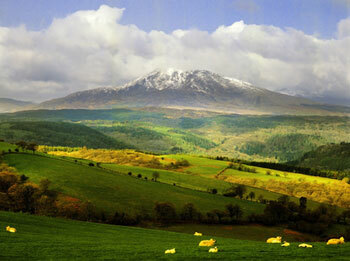 If your mutt’s got serious stamina, Snowdonia may well be a fantastic option for you. Bryn Tirion Pet-friendly Cottage is a stunning base from where you, your partner and dog can explore the sensational scenery of Snowdonia. The wild, wide open spaces of Cumbria, The Lakes and The Yorkshire Dales may be worth bearing in mind. There are plenty of options for places to stay and things to do with pets in these areas, and the recent weather has got to be a great reason to celebrate our Great British Countryside. Enjoy lakeside walks, quiet country pubs, traditional food and most of all – fun with your furry family member! Take at our selection of cottages in National Parks.